A chart showing the transmission and physical signs of the Hendra virus. A VACCINE for the deadly Hendra virus has been released today. Called the Equivac® HeV vaccine, it will be available under permit from accredited veterinarians. Tthe vaccine will also assist in breaking the cycle of transmission that puts humans at risk of contracting this potentially lethal virus. The Australian Veterinary Association recommends that all horses be vaccinated against the Hendra virus. Hendra virus has claimed the lives of 81 horses, including nine deaths in 2012 alone. With no known cure for Hendra, the Equivac HeV vaccine is positioned to become the most effective defence against this virus. Australian Veterinary Association president Ben Gardiner said the vaccine reduced the risk of exposure to Hendra virus for horse owners, handlers and veterinarians significantly. "For that reason, the Australian Veterinary Association recommends that all horses be vaccinated against the Hendra virus," he said. "The vaccine will also help to protect the health of horses and is a major win for anyone working in the equine industry, including veterinarians. "We encourage all horse owners to contact their veterinarian to schedule an Equivac HeV vaccine appointment." Rapid development of Equivac HeV by Australian-led international collaboration Equivac HeV vaccine was the result of an international collaboration. In Australia, Pfizer Animal Health has worked in close partnership with CSIRO's Australian Animal Health Laboratory. Additionally, US organisations, the Uniformed Service University of the Health Sciences and The Henry M Jackson Foundation for the Advancement of Military Medicine, Inc have also contributed to the development of this important vaccine. Pfizer Animal Health has been involved from the early stages of the development process, contributing to formulation, industrialisation, production and distribution of the vaccine. Pfizer Animal Health Australia division director Mike van Blommestein said the company's involvement in the collaboration to develop Equivac HeV spoke to its determination to support the veterinary community and equine industry with effective vaccines to aid in the control of potentially life-threatening diseases. Pfizer Animal Health also managed the formal regulatory approval process including those safety and efficacy trials required by the Australian Pesticides and Veterinary Medicines Authority for the granting of permit approval, as well as fulfilling the requirements of the Australian Quarantine and Inspection Service. Pfizer will oversee the training and accreditation of veterinarians working with the vaccine. The supply and maintenance of a national vaccine register for horses, requiring veterinarians to record details of a horse's location and vaccination status, will also be managed by Pfizer Animal Health. CSIRO provided the safe handling of Hendra virus and testing of the Equivac HeV at its high containment facility in Geelong, Victoria, the only laboratory in the world capable of such high-risk work. Leading the specialist team from CSIRO and veterinary pathologist, Dr Deborah Middleton, said she had a deep understanding of the need for an equine vaccine to aid in the prevention of the spread of Hendra virus. "I have seen first-hand how Hendra has created difficult working conditions for my colleagues and any Australian who works with horses," Dr Middleton said. "A horse vaccine is crucial to breaking the cycle of Hendra virus transmission from flying foxes to horses and then to people, as it can prevent both the horse developing the disease and passing it on." US partners USU and HJF also played an important role in the initial stages of the development of Equivac HeV vaccine. As of November 1, 2012, Equivac HeV will be available for use by accredited veterinarians only, following the APVMA's approval of a Minor Use Permit earlier this year. As a result, Pfizer Animal Health is working to supply Equivac HeV vaccine to those areas with the greatest need across Australia. "We are collaborating with state based chief veterinary officers and industry to ensure horses in areas evaluated as highest risk are supplied with the vaccine as a first priority," van Blommestein said. While the introduction of a vaccine represents a significant step in countering the spread of Hendra virus, it is still important that veterinarians and those who work with horses take precautions to safeguard against infection. "Although Equivac HeV will provide reassurance for Australians in contact with horses, owners should still be conscious of flying fox activity in their area," Dr Gardiner said. "Anyone handling a sick horse should also continue to take important infection control precautions such as wearing personal protective equipment, quarantining sick horses and following good hygiene practices as a matter of routine." 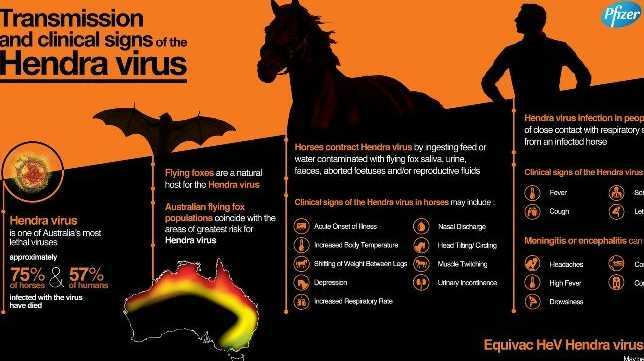 Hendra virus is a serious zoonotic infectious disease transmitted by flying foxes shedding the virus in their saliva, urine, aborted foetuses and/or reproductive fluids. Horses are thought to contract Hendra virus by ingesting feed or water contaminated with one of these sources of infection. 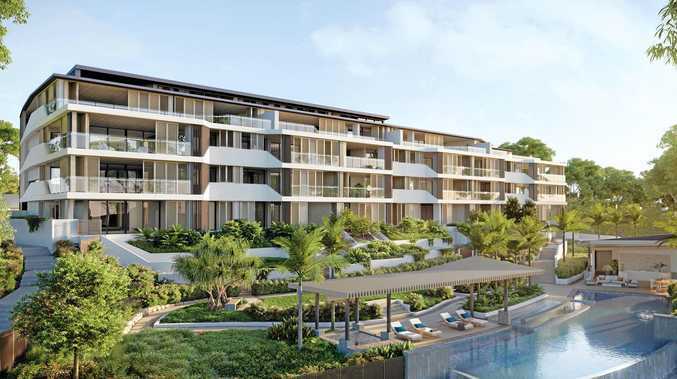 The virus can also pass from animals to people and was first discovered in the Brisbane suburb of Hendra in 1994. The Hendra virus horse vaccine project has received significant funding from State and Federal governments over the years. Most recently in 2011, the Intergovernmental Hendra Virus Taskforce was formed and the National Hendra Virus Research Program allocated funding to ensure critical timelines for vaccine development were maintained. Further development work and data such as adverse events from the use of the vaccine by accredited veterinarians post launch will be used to support the full registration of the vaccine by the APVMA. For more information about Hendra virus, visit here.